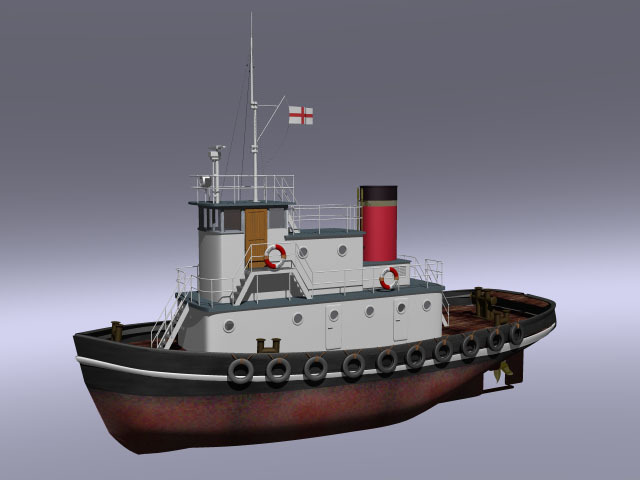 A detailed model of a tugboat, check out this bigger image (36K). By Steve Welch. A wooden rowing boat with oars that can be rotated for realisting rowing movement. Includes water (not shown in the thumbnail) to keep the inside of the boat dry. By Thomas de Groot. A wooden flat-bottom rowing boat. Also includes water (not shown in the thumbnail) to keep the inside of the boat dry. By Thomas de Groot. 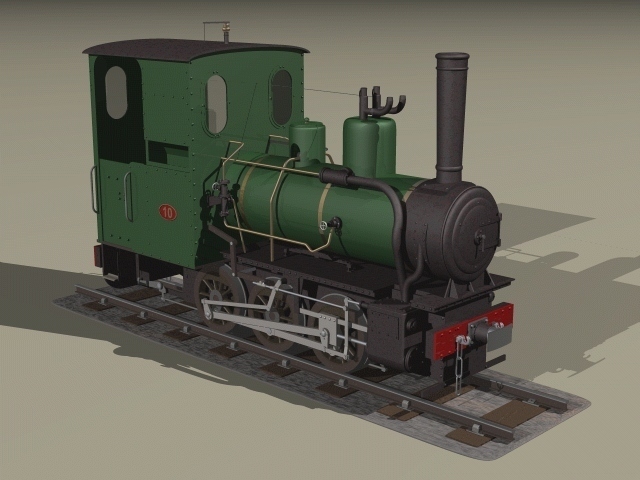 A beautifully modelled narrow gauge steam locomotive based on a swedish prototype. Very detailed, all CSG. The thumbnail does not do it justice, so check out this bigger image (135K). By Steve Welch. 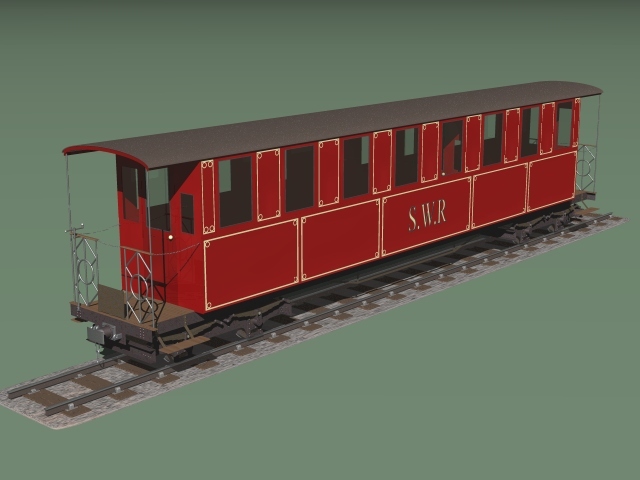 Here is the coach to go with the steam engine, equally detailed and this thumbnail does not do it justice either, so check out this bigger image (84K). By Steve Welch. 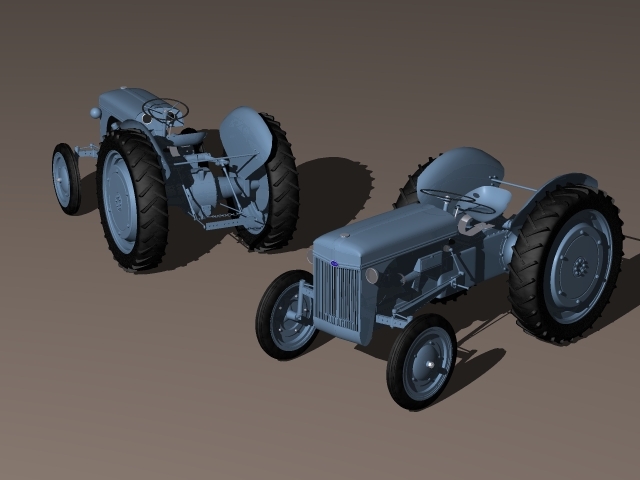 A untextured model of a fantasy heavy tricycle. By Kayputk. 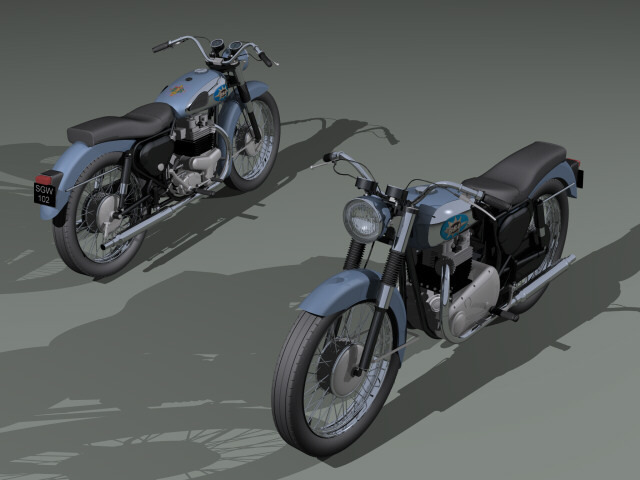 Yet another awesome model by Steve Welch of a 1962 BSA Motorcycle "Super Rocket". Exquisitely detailed modelling. Again, the thumbnail does not do it justice, so check out this bigger image (58K). By Steve Welch. 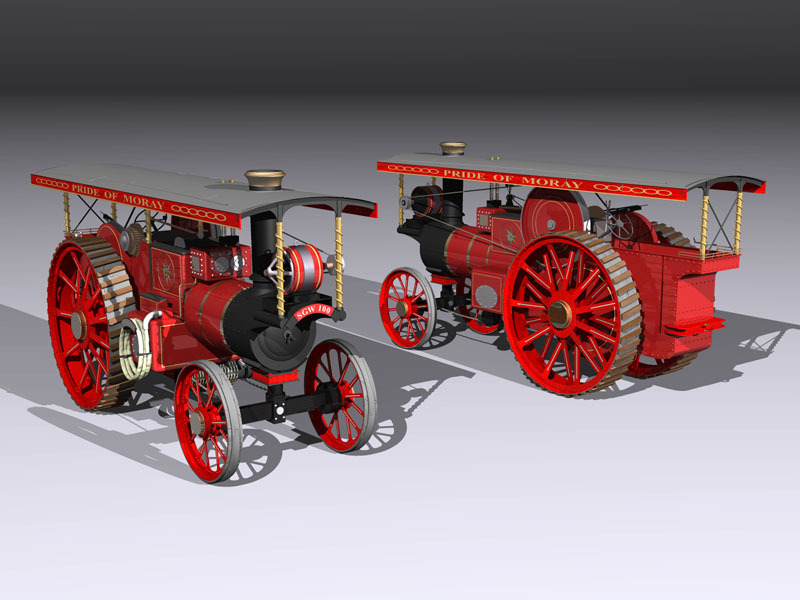 Another awesome model by Steve Welch of a Showman type steam engine. Exquisitely detailed modelling. Again, the thumbnail does not do it justice, so check out this bigger image (96K). By Steve Welch. An awesome model by Steve Welch of a 1941 Ford 9N Tractor. Very good, detailed modelling. The thumbnail does not do it justice, so check out this bigger image (114K). By Steve Welch. 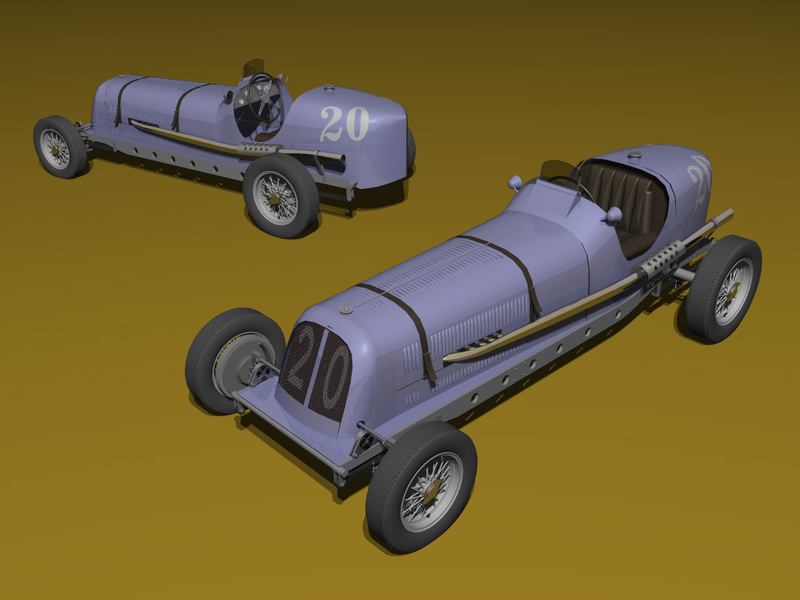 A 1934 ERA Racing car. This is a awesome model of a old racing car. Incredible modelling, very detailed (even the wheel grooves are modelled), almost all CSG. The thumbnail does not do it justice, so check out this bigger image (132K). By Steve Welch. Wow! This is a beautiful model of a steam locomotive. Incredible modelling, very detailed, almost all CSG. The thumbnail does not do it justice, so check out this bigger image (41K). By Steve Welch.